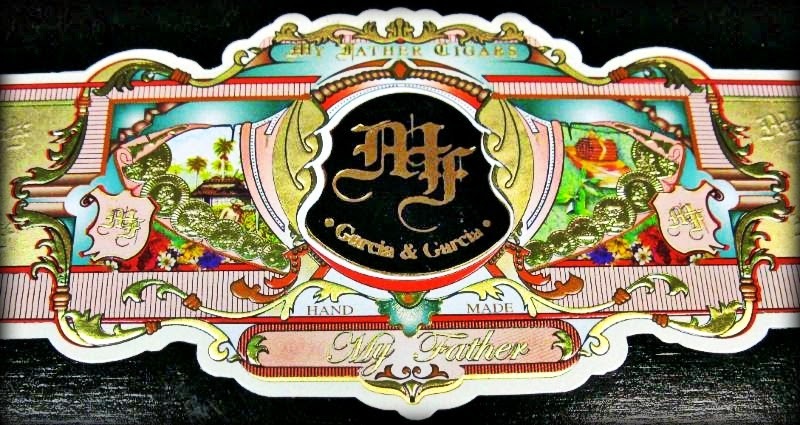 My Father Cigars was created by the Garcia family who are one of the leading manufactures of the hottest cigars on the market today. Buy 20+ Cigars get a box of 3 event only cigars, a $65 dollar value, 3 additional single cigars, a shirt, cutter, and a ticket for the Raffle for a Custom My Father humidor, ashtrays, and much more! 20 or more cigars will also get you a Cigar Tasting on an Electric Boat that evening! *$15 dollar minimum purchase to Partake*in our Amazing Catering with plenty of Food & Drinks to Go Around! Rain or Shine, we will be ready for any weather conditions with heaters for our tent! So Saturday nights at the casino are generally pretty busy, but tonight was exceptionally busy! The only game that I actually wanted to play, Craps, all the tables were totally full. Yes, and I didn't feel like hanging around waiting for a place to open up either. No worries, off to the Lit for a cigar! At the Lit we saw that the gang was already here, so we asked if we could pull up a chair and join them? Amazing that we found two chairs to pull over to the table! I asked where my friend Josh was, El Jefe of the Lit, and I was told that he wasn't there tonight. I wanted to ask him how ticket sales were going? Pretty sure that they've always hit the maximum numbers for this event, that's one reason why I wanted to get my ticket tonight. So what did I think of it? Probably one of the best cigars I've smoked so far this year! They're short cigars, just 5 x 54, with a beautiful box press dark wrapper. I couldn't find a thing wrong with it, other than the price of course. I must say that it was as close to perfection as you can get. I loved it! Would I buy one again? Without a doubt YES! However, it will probably be a very special occasion before I purchase one again - they're damn expensive! So just before we ventured over to the Lit Lounge, my lovely wife said to me: "We better go and buy your ticket so you don't forget." I told her that I wouldn't forget since this was the primary reason we came up here in the first place. She said "ok", and we went off and had our cigars. Well, I didn't actually forget about the tickets, but I did forget that the box office closes at 10 or 10:30pm. We showed up just before 11 pm and the lights were off. CRAP!! I should have listened to her! She loves when I say that.. It's actually a pipe shop, but they've got an excellent selection of Cuban cigars. Super nice guys working here too, and of course, ils parlent anglais aussi! 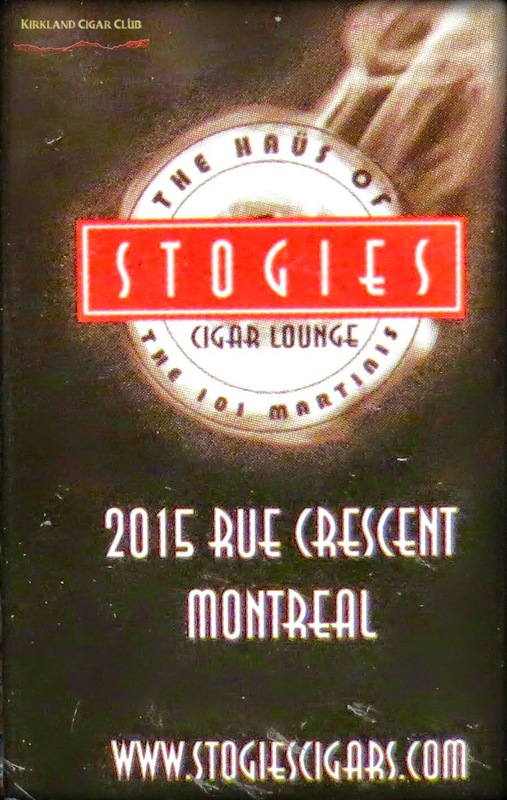 Before we left on our trip, I googled "Cigar Lounges" in Montréal and came up with this place. It was only about 10 minutes by taxi from our hotel, and me being the cigar-fanatic that I am, I just had to check it out! Plus, I think this is the only cigar lounge in town? There was an outdoor concert going on just across the street and about a million young people having a blast! Stogies Cigar Lounge is on the second floor looking out towards where all the action was, so we had a great place to watch the festivities while enjoying a fine Cuban cigar. Yeah, this place has an excellent selection of cigars, but plan on dropping at least $100+ for cigars and drinks for two people. It was worth it though! What a crazy, but cool night! Québec City - Didn't see any cigars shops or cigar smoker, but it's a beautiful city though, almost as fun as Montreal - very, very pretty. Charlottetown, PEI - Zippo on cigar shops, but really a cute little historic town, "Birthplace of the Confederation." You'll know what I'm talking about if you're Canadian. Sydney, NS - Meh, not much to write home about. Bar Harbor, ME - This is another really pretty town, and yes, the lobster is King here! 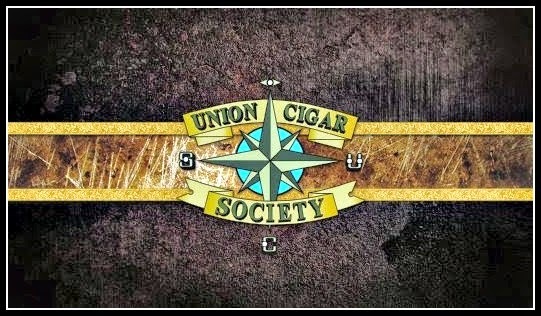 Cigar shops? I didn't see any, but holy crap, what a beautiful place! Really was surprised! I expected it to be like Fisherman's Terminal over in Magnolia, fishing boats and stuff, but no, it's more of a touristy kind of town. Very picturesque! I've definitely got to come back to this city - absolutely loved it! So much to do, so much history, great places to eat, and great people! We had a blast! Probably liked the North End the best - some super good Italian restaurants here! What about cigars? 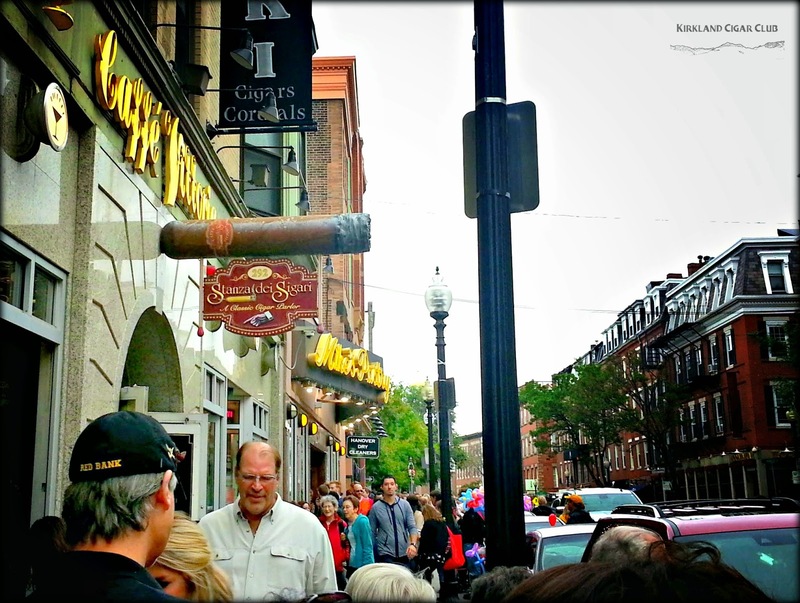 Well you'll find plenty of cigar shops, but only one cigar lounge, and that's up in Little Italy (the North End) as well. Good selection of cigars, plenty of seating, and we had a waitress that took good care of us. The place was pretty busy too! Thoroughly enjoyed it and I highly recommend that you check it out the next time you're in Boston. It has a kind of 1920's look to it, a little different feel than the Vertigo Club, maybe more rustic, but still very, very nice! So the Wifey-poo and I were in search of the perfect lobster roll, since basically we were in lobster country. Out of all the restaurants we tried in Nova Scotia, Maine and Massachusetts, Boston was the winner by far! Now you're probably saying WTF? Maine or Nova Scotia has the best lobster! 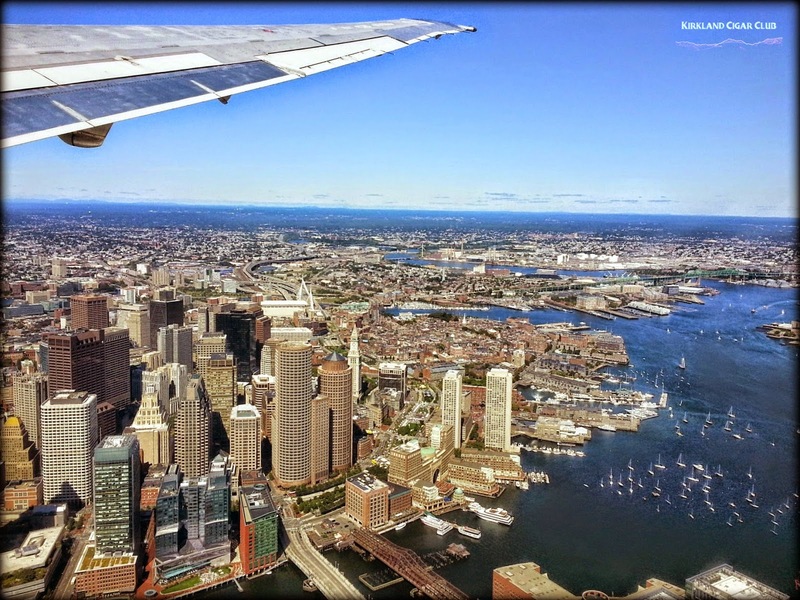 Well, that may be the case, but as far as putting into a bun and serving it to the public, the beautiful city of Boston came out on top! It was delicious! 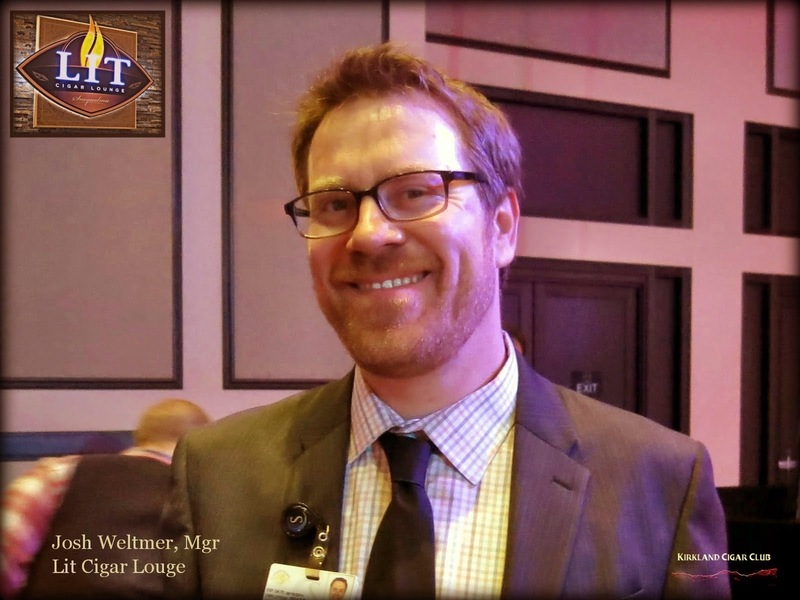 Are you planning on going to the Washington Cigar and Spirits Festival this year? Me too! I'm going to try to get up to the casino in the next couple of weeks to get my ticket. Should be fun! For our next event we will be featuring one of the most famous brands on the market from one of the most famous cigar makers in the industry. My Father Cigars by Don Pepin Garcia! Don Hanes of My Father Cigars will be here to discuss all the wonderful offerings from the Garcia family; including a couple of new items that were released at this summer's IPCPR trade show. your cigars in comfort come rain or shine. Do You Have Your WCSF Tickets Yet? We've put together another fantastic event, featuring seven of the industry's top manufacturers and over 50 different fine spirits and craft beers. We look forward to seeing you at this year's event! The event will take place on Saturday, October 11 from 6-10pm in the Snoqualmie Casino Ballroom. We are also offering shuttle service to and from the event for those staying at the Issaquah Hilton Garden Inn. Call 425-837-3600 for more details and to reserve your room. We're very excited to have one of the hottest new brands in the world represented at this year's WCSF. Aging Room is a brand that focuses on creating small batches of limited edition blends using rare and aged tobaccos. 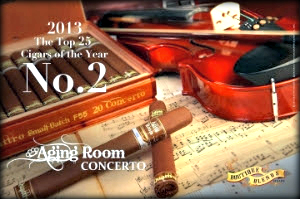 The Aging Room F55 Quattro was rated 95 by Cigar Aficionado and named the #2 Cigar in the world for 2013. 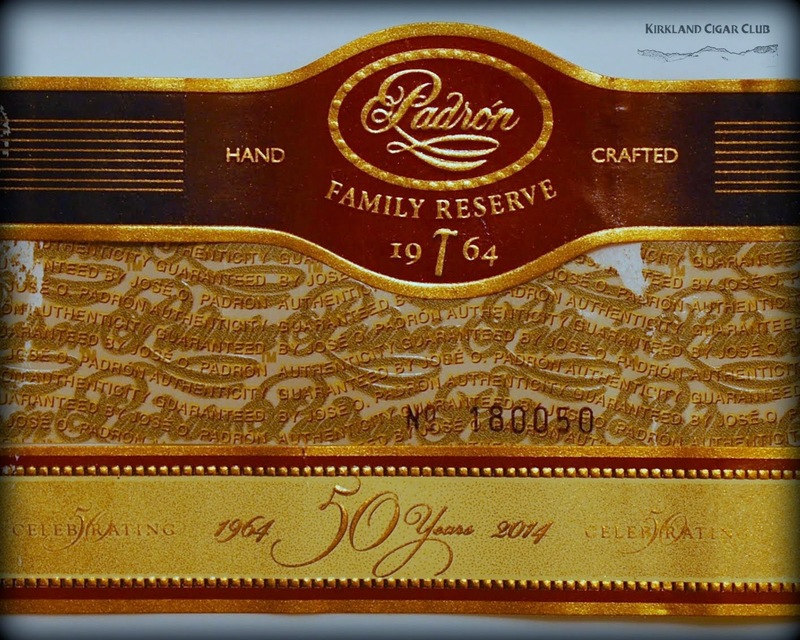 Not one to rest on his laurels, owner Rafael Nadal has dug deep into his reserve of rare leaf to create Aging Room Bin #1, a full bodied masterpiece of a cigar using select tobaccos dating back to 1997. It's a full bodied cigar with a depth and complexity that can only come with age. The Aging Room Bin #1 is available now at Lit and, like all of our featured boxes, will be discounted 20% during the WCSF event! Ardbeg single malts are known for their traditional Islay flavor profile - rich, peaty and smoky. They're also known for being the first whisky to travel to space as part of an experiment to see how whiskey matures in a zero gravity environment. This spawned the idea for Ardbeg Supernova, an extremely rare annual release highlighting the richer, more intense flavors in the Ardbeg spectrum. We'll have one bottle of the Supernova 2014 to sample during the WCSF, so listen for the special announcement during the event and try it! You can read more about the Supernova and the Ardbeg space project here. 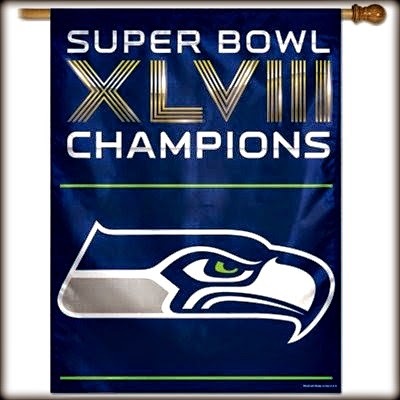 Lit Newsletter 9/2/14 Seahawks are back! On Thursday, September 4, we'll resume another great tradition at Lit - for the past three seasons, we've given out a prize for EVERY Seahawks score! This year will be no different. Join us as we toast the Super Bowl Champs with these rare Seahawks commemorative Maker's Mark bottles. As they go empty, we'll give them away! See you Thursday for another great year of Seahawks football! 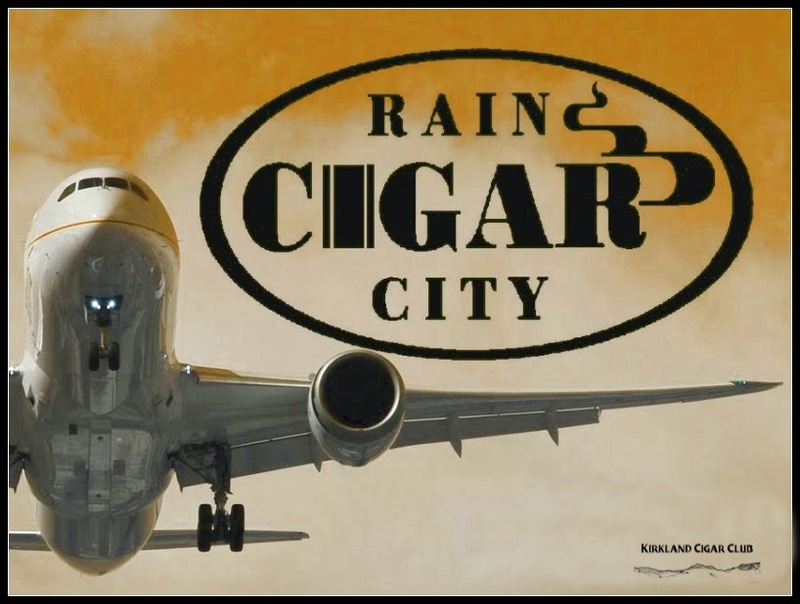 Our next event is next Wednesday, September 10 in Lit from 6-8pm featuring My Father Cigars and Black Raven Brewery. 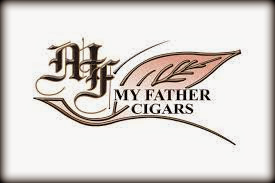 We'll be joined by Jose "Hurricane" Ortega from My Father Cigars and have some great deals on a variety of their award winning cigars, including the brand new My Father Connecticut Edition. We'll also be joined by our friends Beaux and Nigel from Redmond's Black Raven brewery. We've managed to get our hands on a rare keg of the Great Grandfather Raven, a barrel aged Imperial Stout that is the ultimate cigar pairing. Fans of our "Smoke & Mirrors" from last year will no doubt want to try this beer. Mark your calendars for this great event! We're proud to showcase Oliva Cigar Co's fantastic blends at this year's WCSF, none more special than the Oliva Serie V Melanio. Named Cigar of the Year in 2012 by Cigar Snob Magazine, the Melanio is a delicious box pressed medium bodied Nicaraguan cigar with a smooth Ecuadorian Sumatra wrapper. 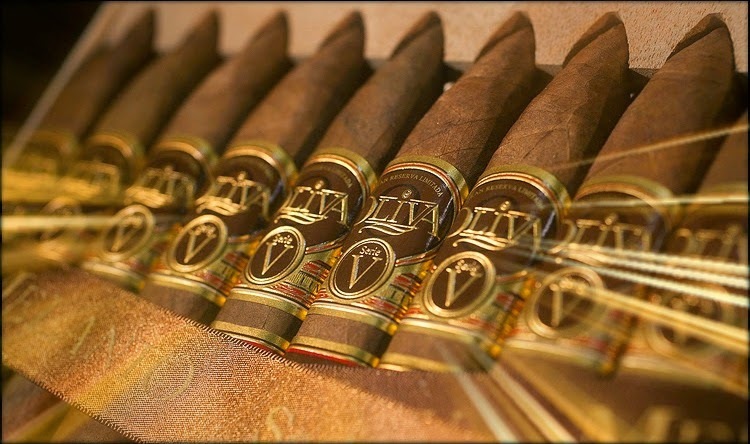 In addition, we'll feature the original Oliva V, the Oliva Connecticut along with several blends of Nub cigars. Hennessy will be featuring a delicious barrel aged cocktail at this year's festival, along with popular expressions VS, VSOP and Hennessy Black. Listen for our MC to announce the appearance of a bottle of Hennessy XO at some point in the evening as well! We've arranged for a special room rate at the Issaquah Hilton along with Shuttle service to and from the event. To reserve your room, call 425-837-3600.